The BMW 330e is probably the best plug-in hybrid yet for mixed driving patterns, as it is still economical even if the battery runs out of charge – even though it won’t be achieving its official 148.7mpg figure. The BMW 3 Series is one of the most successful cars in its segment, and now you can get a plug-in hybrid version offering high mpg, low emissions, and big Benefit in Kind savings for company car drivers. The 330e is still a BMW 3 Series, so the winning recipe remains: front engine, rear-wheel drive, ideal front/rear weight distribution, rewarding handling, yet it’s also comfortable. As well as the 184hp 4 cylinder, 2-litre petrol engine, there’s an 88hp electric motor powered by a lithium-ion battery. You plug the car in to charge the battery, which gives you an official range of 25 miles of zero tailpipe emission, electric motoring. 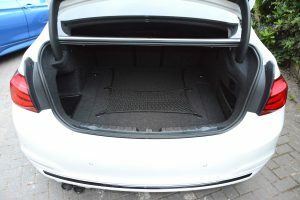 The battery sits under the boot floor, so there’s minimal loss of space. 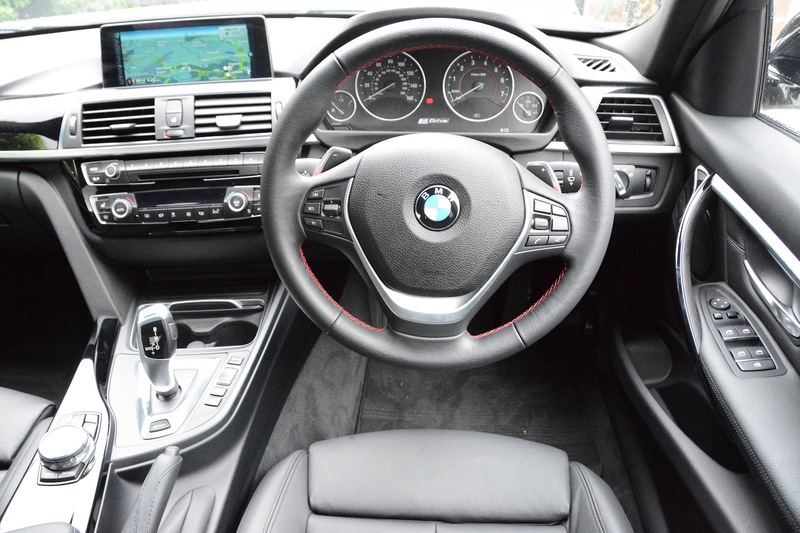 The exterior and interior is as per most other 3 Series models, apart from a couple of small badges, a few new minor information displays on the dash and an extra button for the electric drive mode. Because the 330e is essentially like any other 3 Series, it’s excellent to drive. The rear wheels put the power down and the front wheels do the steering, so it goes round corners properly. The driving position is almost perfect and all controls are well-weighted. 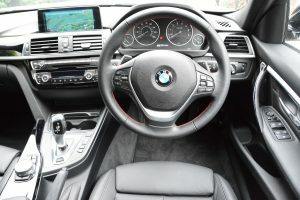 Critically, the interior is extremely functional, with all controls where you want them to be, and perhaps most importantly, there’s the iDrive system to control the infomedia rather than having to try and press small buttons on a touchscreen while moving. 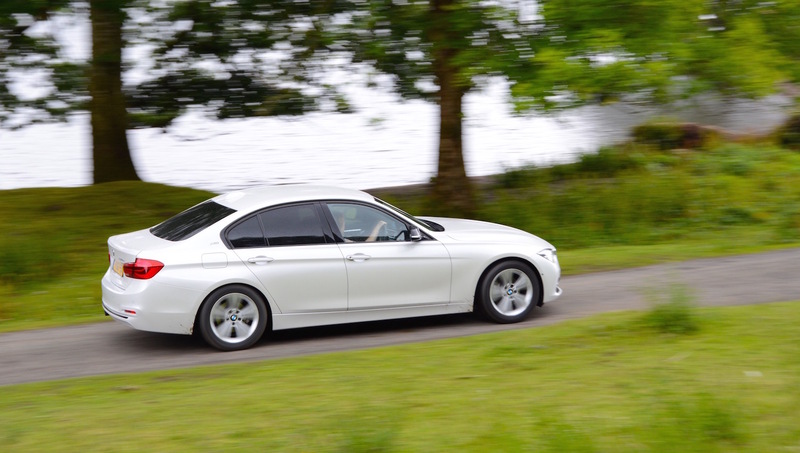 The 330e is comfortable for long motorway journeys, but is also rewarding on twisting B roads. 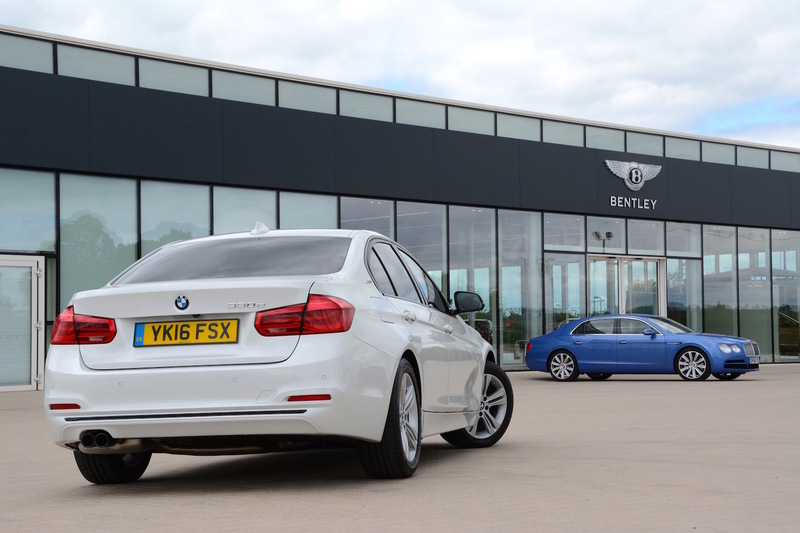 The petrol engine offers good performance, but the electric motor supplements the power and torque, resulting in a 0-62mph time of just 6.1 seconds, hence why the car gains a 330e name rather than being a 320e. You get the normal drive mode options of Eco Pro, Comfort, Sport and Sport Plus, and you can select from AUTO eDRIVE (hybrid mode), MAX eDRIVE (pure electric) and SAVE BATTERY (petrol power). You can also choose to change gear manually using the steering wheel-mounted paddles, so you’re left with a wide range of options to play with. However the whole point of this car is that if many of your journeys are less than 20 miles, you can drive purely on electric power (up to 75 mph). This means virtually silent running, lots of torque and progressive acceleration, and of course zero tailpipe emissions. You also get zero emission driving in the BMW i3 and i8, but silent electric propulsion still has novelty value in a 3 Series. It all sounds ideal, but are there any complaints? Well, not many, but the instrument display is obviously from a standard 3 Series with only a small adaptation for the electric powertrain. This means that unlike most electric cars you don’t get all the battery information permanently displayed on the dashboard, you have to scroll through the standard displays to show battery charge, electric range remaining, what powertrain is being used, etc. It would be much better if such information was permanently available on the dashboard. Oh, and after spending many hours behind an M Sport steering wheel, the 330e’s wheel just doesn’t feel as nice. The official combined fuel economy figure for the BMW 330e is 148.7mpg, equating to 44g/km CO2 (although the official BMW figures give a range for the emissions between 44-49g/km CO2, depending on wheel sizes etc). There are well-known discrepancies between official and real-life economy for petrol and diesel cars, but the differences for plug-in hybrids are even more marked. 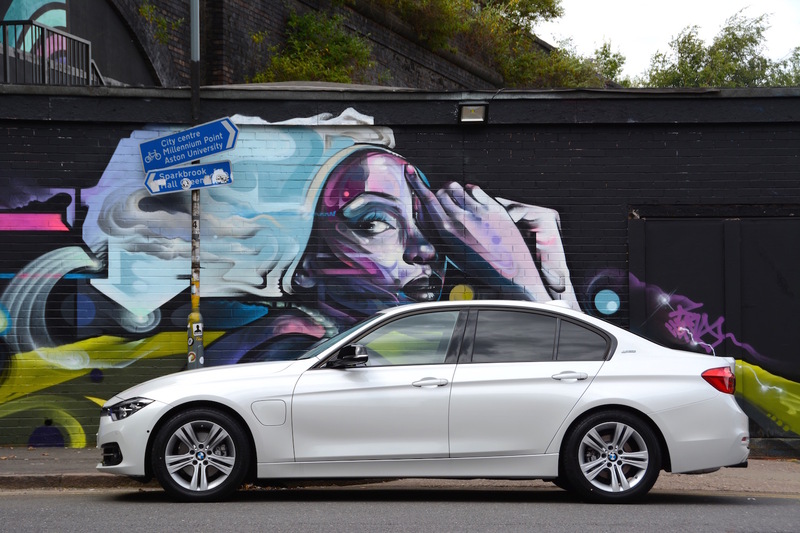 A large proportion of 3 Series models spend much of their time up and down the nation’s motorways. If this is how a 330e spends its life, the owner won’t be recording 148.7mpg. To get anywhere close to this figure you’ll need to drive the car mostly on electric power – which means the majority of journeys below 20 miles. However, the 330e has one big bonus in the area of fuel economy. Many petrol plug-in hybrids average somewhere in the mid-30’s mpg on long motorway runs. The 330e is lighter, more aerodynamic, and altogether more efficient than such vehicles, so you won’t be too upset at the fuel usage on long journeys. When using the petrol engine rather than the battery, over 12 miles at 50mph we achieved an indicated 63.6mpg. Even at higher speeds on motorways the 330e returns mpg in the mid-40’s, showing that it is basically an efficient car. Overall, after a week of extensive mixed driving, with around 70-80% on motorways (with the efficient hybrid powertrain mated to Eco Pro mode), but also with most local journeys on electric power, we averaged 47.2mpg. This is approaching what you would enjoy from a diesel 3 Series, but without the diesel emissions that have an adverse impact on local air quality. The secret to maximising fuel economy is to select the ‘save battery’ option at higher speeds, and to use electric power around town. 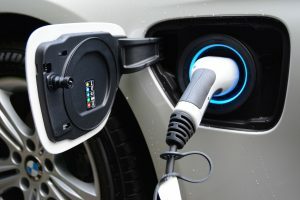 Although the official electric range is 25 miles, the car typically showed a range of 18-20 miles after a full charge (which only takes around two hours with standard 3.7kW domestic charging). One thing to note is that the mpg display on the dashboard only records up to 99.9mpg – BMW really needs to start recording fuel economy that exceeds this figure. 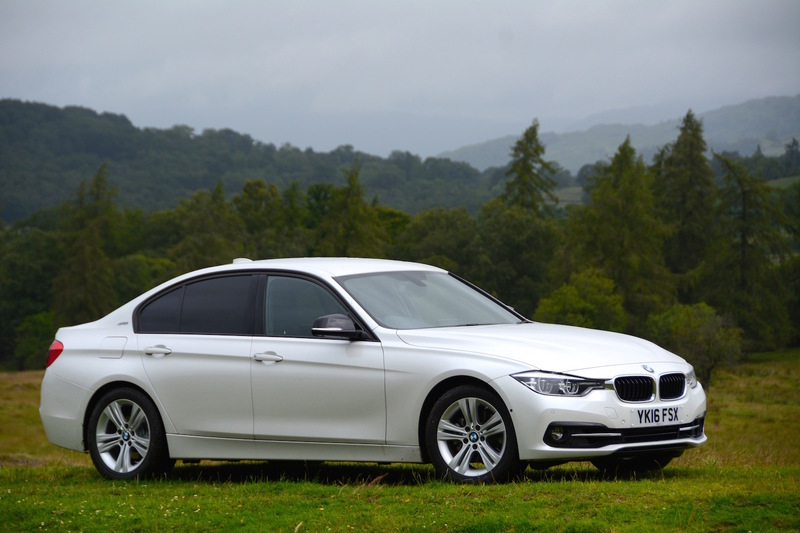 The BMW 330e costs £34,235 after the government’s plug-in car grant of £2,500 for a ‘Category 2’ plug-in vehicle. 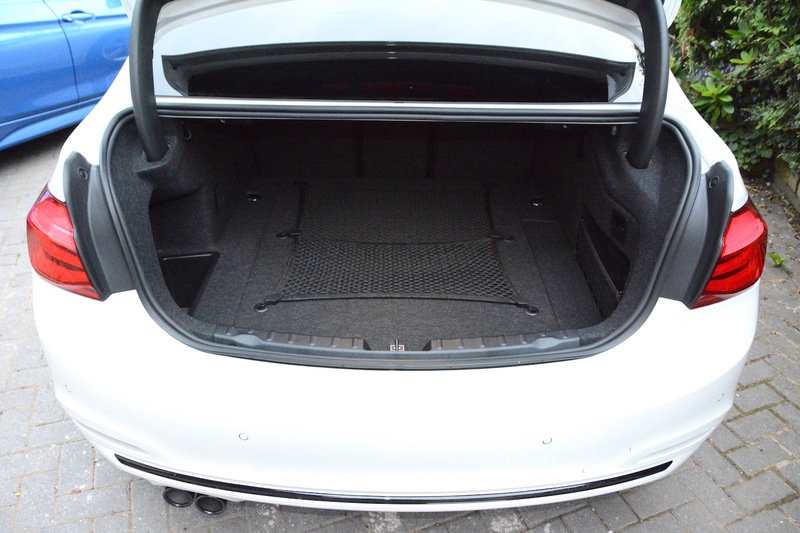 However the price of our test car climbed to £42,350 after the inclusion of a number of options including electric front seats with driver memory (£945), professional media package (£900), visibility package (£850) and interior comfort package (£630). 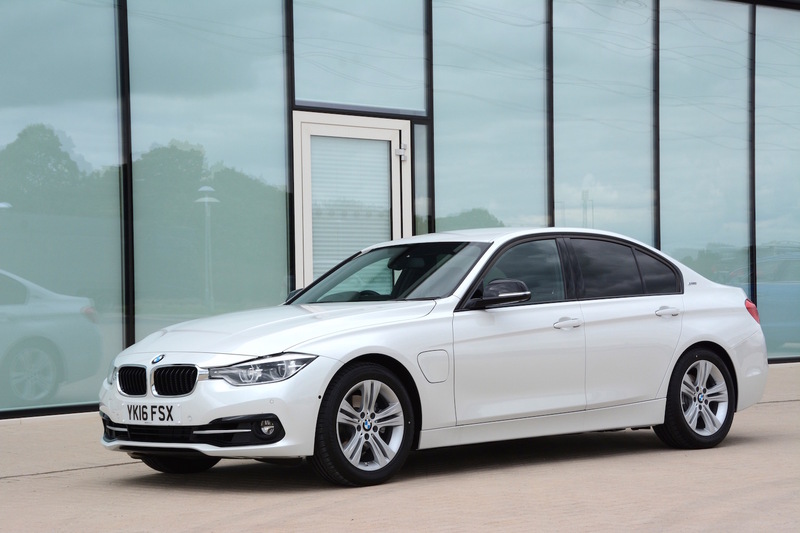 You can buy a BMW 320i, with official fuel economy of 47.9mpg, for less than £30,000, or a BMW 320d, with fuel economy of 70.6mpg, for less than £33,000, so you would need to decide if a petrol, diesel, or petrol plug-in hybrid is the one for you. 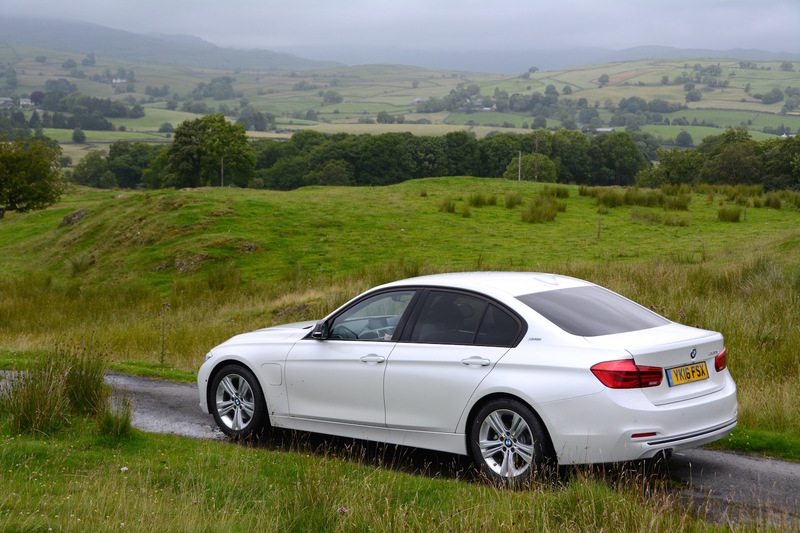 With minimal extra cost, and significant BIK savings for company car drivers (the 330e has a BIK rate of just 7%), the 330e does make a good case for itself, as long as all your driving won’t be up and down the motorway. The BMW 330e Saloon is eligible for London Congestion Charge exemption and there’s no road tax to pay. There are a huge amount of 3 Series Saloon specs and engine combinations to choose from, and then you’ve got the 3 Series Touring, the 3 Series GT, the closely-related 4 Series Coupe, the 4 Series Gran Coupe, and the 4 Series Convertible. Then of course there’s the X3 and the X4. And the M3 and M4. However one thing you can’t get at the moment is a 330e Touring; the 330e is only available as a saloon. We hope that as sales take off, BMW will introduce a Touring version. The BMW 330e does all the good things that a ‘regular’ 3 Series does, plus it has electric-only driving capability. This means that you’ll have cleaner tailpipe emissions than a diesel, which is particularly important if you do lots of driving in built-up areas. Unlike many other petrol plug-in hybrids, the 330e is reasonably efficient even when it’s driving on its petrol engine. However if you spend most of your time driving long distances on motorways then a diesel 3 Series will be more economical. 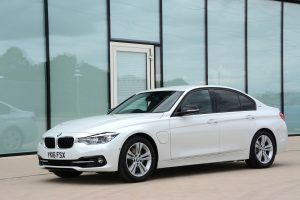 The attractive Benefit in Kind tax rate will probably be one of the key factors that will swing a company car driver’s decision towards the 330e, and if they do take the plunge, then they will enjoy a car that can do most things very well, with the combination of a rewarding driving experience and low emissions being at the top of our list. But one of the things that sets the 3 Series apart in our eyes is that although most cars on sale today are reasonably good, they generally all have some features that would be annoying to live with. 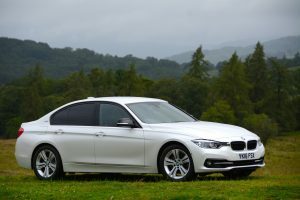 However in our view the 3 Series doesn’t have any annoying features, it’s just one if the best all-round packages you can buy, and so by adding electric-only capability, and taking nothing away, the BMW 330e is awarded a Green Car Guide rating of 10 out of 10. Could BMW improve the 330e? One of the few ways that we can think of is by offering a Touring version.